Take advantage of the unseasonably warm temperatures, gather up your friends, and enjoy the Republic Bank First Friday Hop! 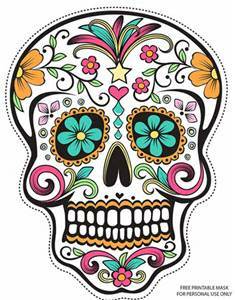 This month's First Friday Hop will be held on November 4th, and will be in celebration of the the Day of the Dead. Ride free on ZeroBus Hop routes from 5-11pm, while stopping to enjoy the many downtown Louisville shops, restaurants, and entertainment venues that particpate in the Hop. ZeroBus route maps are available here. Events occur from 4th and Main from Museum Row to NuLu, and from north 4th to south 4th street. The Day of the Dead is a 3-day holiday in which people gather to pray for family and friends that have died in order to help support their spiritual journey. The celebration typically includes marigolds (the flower of the dead), sugar skulls, cardboard skeletons, tissue paper decorations, and other food and decorations. There will be a sugar skull and tissue paper workshop, face painting, flamenco music and dancing at 500 South 4th Street during the celebration. There will also be food and beverages provided by la Cocina de Mama Cuisine for the event. Day of the Dead merchandise will be available for purchase at certain retailers such as Regalo and Red Tree, among others. Want to make your next home in downtown Louisville? Check out Family Realty for current homes and condos for sale! Waterfront Park Place, Fleur de Lis, Merchantile Lofts, and more - call Family Realty today to schedule a showing.